All of our Mediators are registered and qualified as SEND Mediators. In Devon, Cornwall, Plymouth and Torbay Global Mediation deliver this work and our Mediators. not you wish to engage in mediation before pursuing an appeal. Your right to appeal is not affected if you choose not to have mediation first. If you wish to engage in mediation, Global Mediation will make the necessary arrangements for you via your designated Case Manager. The meeting will be held in a neutral location within 30 days of the Local Authority being informed that you would like mediation. A Local Authority Officer is obliged to attend if mediation is requested. You may be unclear as to whether or not to try mediation. 1. 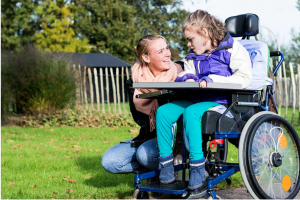 Engaging in mediation is voluntary for a parent, carer or young person. It will not affect your legal rights. If unsuccessful, you can still lodge an appeal with the Tribunal. 2. Our resolution rate for SEN mediations nationwide is 93%, which means that only 7% of mediations do not result in a full or partial agreement. 3. Our mediators are trained and experienced in SEN mediation. The mediator is impartial at all times and will not impose a solution; s/he will facilitate the exploration of all options and concerns, helping the participants to reach a mutually satisfactory resolution. 4. Mediation is confidential and without prejudice to the Tribunal process. 5. SEN mediation is FREE to parents, carers or young people wishing to engage in the process. 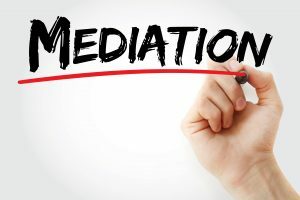 In cases where mediation is not appropriate, you will be able to be offered Mediation disagreement resolution service, designed to resolve disputes about any aspect of SEN provision, including disagreements about placement or the health or social care elements of an EHC Plan. Disagreement Resolution meetings can provide a speedy and non-adversarial way to resolve disagreements before the issues escalate. As with mediation, DR meetings are confidential and without prejudice to the Tribunal process. right to appeal within your two month deadline.